Growing up in Edinburgh I had always heard of the various ghost tours nearby. 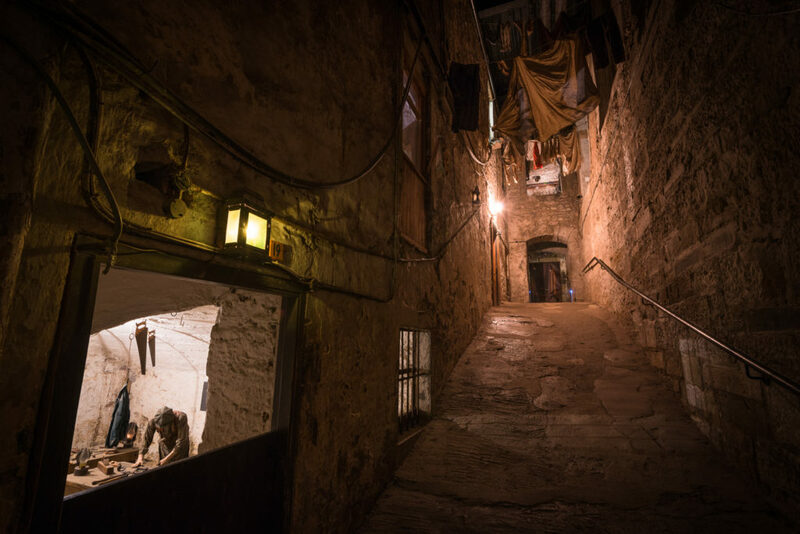 One in particular scared me a lot – it was Mary King’s Close, a tour of the narrow underground closes and old tenement buildings that now run beneath the city of Edinburgh. 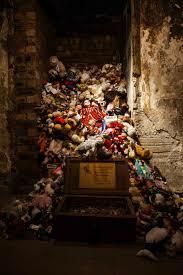 Partially demolished and buried since the 18th century, Mary King’s Close had a reputation for hauntings and has featured on many paranormal television programmes and investigations. So what better way to challenge myself and my old beliefs – derived from a relatively helpless, phobic attitude to life that I had before – than to finally book myself up for the tour. I was feeling pretty excited about doing the tour with only the odd butterflies regarding my imagination and how it might run away with me. However, I decided to go to the tour focusing on how interesting the history of it would be. So that is what I did. The tour guide set the scene, and took us deep underground to visit the various rooms and streets below. The lighting was very dim and the passageways were tight and awkward in places. The group I was in was a very quiet, calm group, so there was no opportunity for fear to generate or to bounce off one another. There was a small boy in the group who looked like he was about to cry at one time. The room we were in was meant to have the ghost of a little girl in it. The room is filled with teddies and dolls that tourists have brought for the alleged ghost who was meant to dwell there. I wasn’t really feeling on edge at all and even consciously allowed the rest of the group to leave the area first being the last one to walk out. My belief in ghosts has changed dramatically over the years, from strongly believing and being creeped out by ghost stories to now being extremely sceptical about the paranormal. I know first hand how the imagination can create things that aren’t there and play tricks on you. When my anxiety was at its worst I used to wake in the middle of the night and see what I thought was people in my room, often staring at me in my bed. Yes, this was pretty frightening at the time. However, it only took one experience of seeing a giant spider on the wall to realise something else was happening. I leapt out of bed, only to turn and see nothing was there at all. I wasn’t seeing ghost spiders! Therefore, I wasn’t seeing ghosts the other times too. After that my feelings towards these events changed and I used to challenge the hallucination in my half sleep state until the vision blurred away and became the chair or the door or something else in my room. So, taking part in the ghost tour would have been a huge deal for me in the past and I would have built up a tonne of anxiety beforehand, imagining the worst and spooking myself out before it even started. I would have panicked, in particular, when the tour guide warned us that people often feel quite claustrophobic or unwell and that if that happens they can call for someone to come and take us back up to the surface. Since doing The Thrive Programme I have discovered that I am more confident to try new things, which has opened up so many more activities that I can take part in. But I also don’t build things up in my head to be something much scarier than it actually is. Exposing myself to once-feared situations is so much easier when you have the coping skills and belief in yourself to do it – this is one of the reasons why The Thrive Programme is so brilliant. I view butterflies as excitement now, not anxiety. The Thrive Programme teaches people to achieve great mental health and overall happiness, leaving limiting beliefs and habits that negatively affect their ability to enjoy life and Thrive. If Katie’s story sounds familiar, either from your perspective or a friend’s, get in touch today. beliefs, Edinburgh, ghost stories, ghosts, halloween, Mary King's Close, the thrive programme, thrive. Bookmark.